B.Gray and I met at a Twilight Sad show, many many years ago when a land named Emos still existed. So, of course, we’re both still huge fans of the band. They’re currently in the release cycle for their new album It Won/t Be Like This All the Time, and now we got another listen. This number seems to take a slight emotional nod from their earliest days; it has that same softness that builds tension. It moves into a heavier pop zone, allowing for James to take control of the song and the listener, as he’s always done. Look for their new LP via Rock Action Records on January 18th. …and have a new release to share, as well. I am now officially on the hype train for this new record. 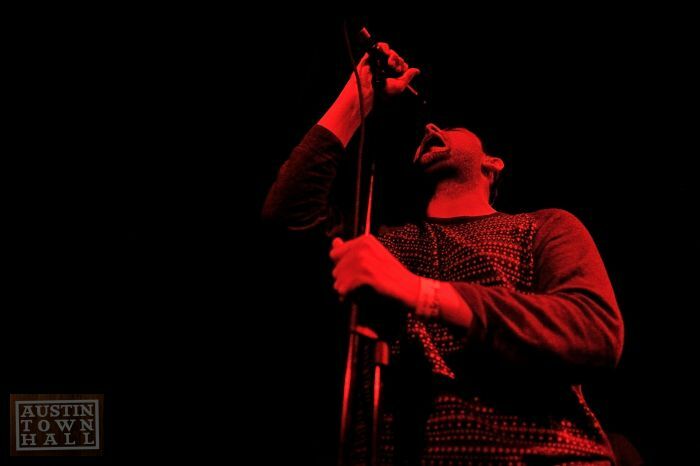 The Twilight Sad have been a band that have always carried a weight around with them, but it seems they have found away to distribute that weight a bit in their recent track that had no tie in to an upcoming record. 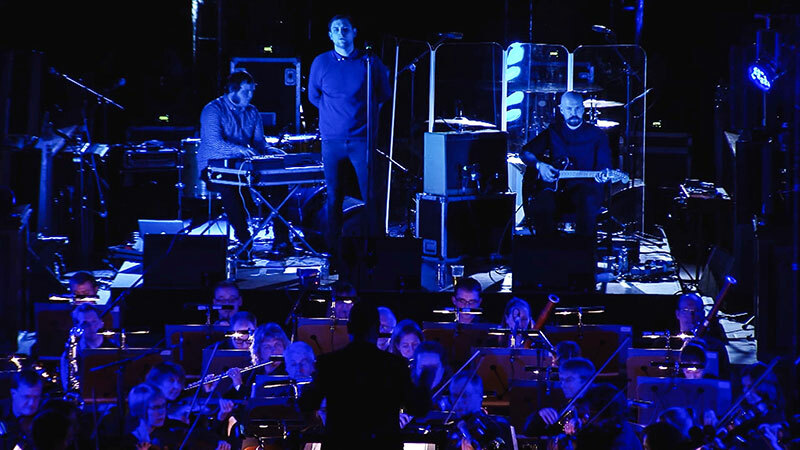 We learn that Andy and James, the driving force behind The Twilight Sad have, in fact shared the load a bit by adding the “touring” members of the band Brendan Smith and Johnny Docherty into the studio for production. Today, we get another fantastic preview to the new record that instead of building, it smolders in a dark wave melody. The new record called IT WON/T BE LIKE THIS ALL THE TIME will be releases on Rock Action on January 18th, pre-order here. Please don’t sleep on this Twilight Sad track; I am using the release of the video to remind you to listen. The video, much like the song, is swirling and fuzzy with moments of disturbed clarity for punctuation. Directed by Brendan Jay Smith, edited by Michael Sherrington, it uses VHS with overlays with repeated imagery devolving into a negative. More importantly, put your headphones on and let loose. They are hitting the west coast, Canada and east coast in October/early November before returning to Europe for more dates. New record soon? We can only hope. Nathan and I’s slow, steady bromance started with The Twilight Sad headlining a show at Emo’s. Our manniversary. The last time I saw the band was opening for The Cure a couple years back. 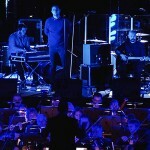 Those of you lucky enough to attend the Cure’s 40th Anniversary party in Hyde park may have been there early to see our friends from Scotland, along with Interpol and Slowdive and many others. Jealous. 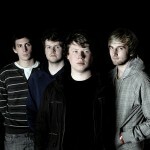 The lads from Glasgow have a new track to share via Rock Action Records. With a textural undertone and the gradual surge inwards to focus on James’s vocal, which later gets buried again, the song navigates through all the things I love about the band. You can’t escape the accent, the deliberate clarity of core messages, the layers of guitar and synth that cause focus or escapism. There are new things for me here, or at least new application of familiar tools like how the piano comes in not to haunt or highlight, but to fill. Album news soon, they are touring in the fall, though staying on the west coast and before crossing the northern US and Canada and then heading back to Europe. Come to Austin – tacos, bromance and Lone Stars await. It isn’t a new idea, plenty of people have followed a band for a day, but it is something I have wanted to do for a while now. 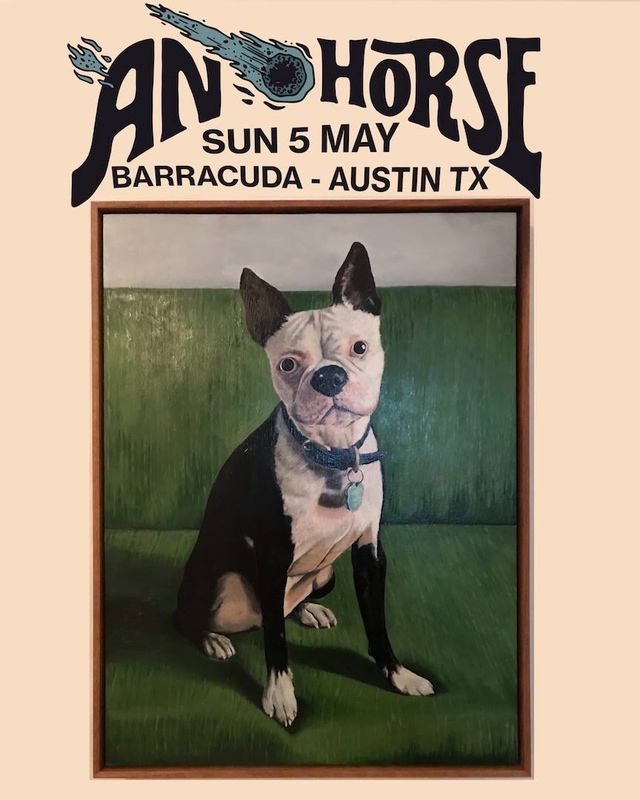 The last time The Twilight Sad was in town in support of We Were Promised Jetpacks, I had some time to chat with James, lead vocals, and Chris Patin, the tour manager, about following the band for a day during SxSW. You see, Chris is a friend of the program; he is in The Calm Blue Sea. James and I oddly ended up standing next to each other at several day parties in previous SxSW’s and we have had friendly conversations about tea, food, travel, normal human stuff. Seemed like a good fit. What follows is an account of the day, followed by a ton of pics. As a bonus, I got to see several other bands, some pretty damn good ones, including Torres and Ringo Deathstarr (more on them later). I know a lot of you are recovering from a long weekend at Fun Fun Fun Fest, but maybe the rest of you are interested in having a great night out with the cold weather creeping in. 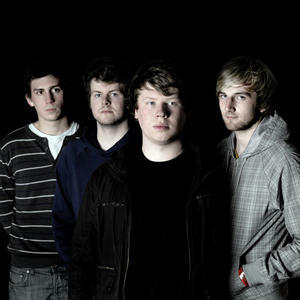 The perfect band to enjoy that weather is Scottish act We Were Promised Jetpacks, who we’ve really enjoyed watching grow over their last few albums; we even managed an interview a few years back at Fun Fest. 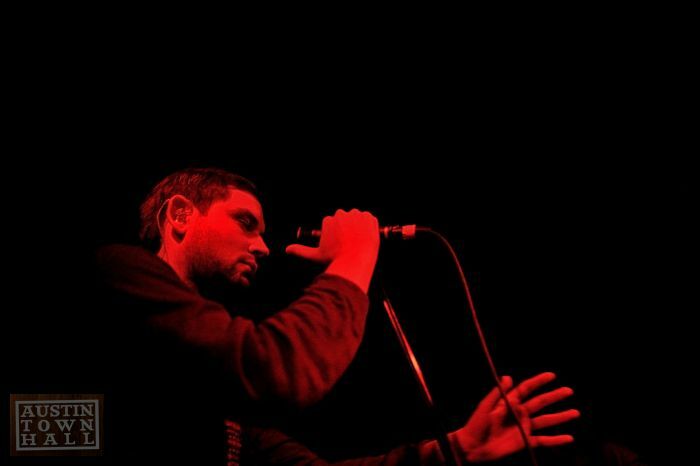 Also, long time ATH faves Twilight Sad will bring their gloomy post-pop to the stage on the same evening, which makes the bill even more enticing to our ears. Both bands have new albums to celebrate as well. Tickets are $16 bucks, and the doors open at 6:30 PM, so come early and hang with B.Gray and I on our Manniversary. 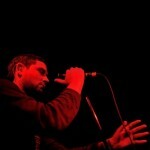 The last we heard from Scottish indie rockers, The Twilight Sad, was No One Can Ever Know, back in 2012. While this was a little bit of a set back for the group that has brought you excellent albums like Forget the Night Ahead, they’ve got their chance once again to add to their growing discography as well as to your listening catalogues. Nobody Wants to Be Here and Nobody Wants to Leave, besides being a ridiculously long title for a record, is oddly fitting, describing the feeling of uncomfortable ease that a lot of the tracks touch on in their swirling darkness. If you’ve never listened to any of this group’s previous works, you ought to know that this band has this powerful darkness that presents itself in various forms. Be it in the accented vocal strength of James Graham, the thick layers of gritty guitars, or the oft-crashing percussion—this band does dark indie-rock very well. The opening three tracks serve as an excellent beginning for The Twilight Sad, each one embarking on a different twist on the pleasant discomfort aforementioned earlier. First track “There’s a Girl in the Corner,” has the band starting slowly, as if to introduce themselves again to you, but there’s still Graham’s vocals spinning you a tale of some figure in the background while electric guitar spirals like smoke around the whole thing, which eventually leads to Graham belting earnestly. Then you hit superstar track “Last January,” and you become completely enraptured: the slow swirl of the first track has been replaced with a quick paced number, fronted by the simmering drums which beg you to tap along to them. They reach the chorus, and there are these waves of softer synthesizer that just fall gently over the track, melting everything together, producing an audible emission of that feeling of uneasy comfort that’s so addictive to listen to. Later on you get the deeper set tracks from this band, each number becomes grounded in itself and takes you further down the rabbit hole. While the first tracks really pulled you in, the last tracks hold you under. “Pills I Swallow” is a four-minute exercise in reserved power, with its multi-level vocals and the tinkling of delicate electronic elements. Then “Leave the House,” is the quietest this band gets; this stripped track has Graham’s rich Scottish voice in total control of the ballad before it switches from quiet to loud. Like earlier records from The Twilight Sad, this one has every inclination of a grower—while there are those immediate tracks that get you first go-round the record player, the band gives you numbers where the energy is embedded and surfaces with further inspection. For their fourth full-length album, this group proves they’ve got more to give you and it happens to be pretty damn good. 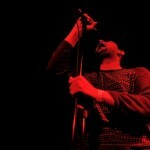 This time around, we are seeing the “sensitive side” of The Twilight Sad. It is softer, yet still challengingly dark track from Nobody Wants To Be Here And Nobody Wants To Leave called “Last January” which carries weight in vocals, softly ringing guitars and haunting synth woven in to the background. You can preorder the album now by clicking here. The gents will be hitting the road in the fall with We Were Promised Jetpacks and they will be stopping in at The Mohawk. I will be there for sure. I usually dismiss any concert that incorporates an orchestra into a band’s performance. #Metallica This is different. 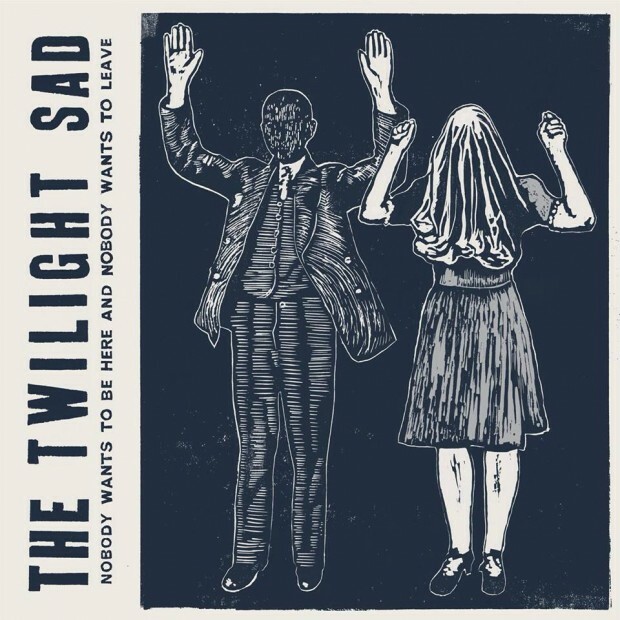 There is no doubt that I am a fan of The Twilight Sad. I’ll see them anytime I can; I’ve seen them in the broad daylight at Club Deville, I’ve seen them in the dark at Red7, I’ve seen them play acoustic at Home Slice, I’ve seen them at the real Emo’s. James’s intensity on stage is balanced by a quiet and calm disposition off stage. I have spoken with the band several times over the years and they always remember our previous exchanges. I am a fan. So when I read that performed with the Royal National Scottish Orchestra as part of the Spree Festival, I fretted, but fretted, I should have not. This is quite awesome. 500 people got to watch this collaboration in the Paisley Abbey. It must have sounded amazing with a genuine weight afforded by venue and players. Watch the video after the break, but even cooler, download the songs performed for the price of an email address. Our adventures on the night of November 13th ended over at Red 7, catching some of our favorite Scots, Errors and Twilight Sad. It was vastly different from the earlier pop moments over at Mohawk with Jens, but welcomed nonetheless. Read on for thoughts and photos.